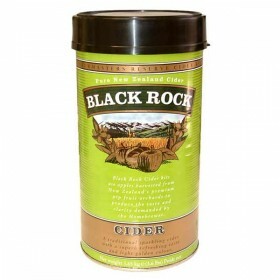 Black Rock Cider kits are produced from apples harvested from New Zealands premium pip fruit orchard.. 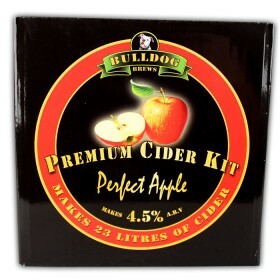 The Bulldog perfect apple cider kit includes all you need to make 23 litres of cider. 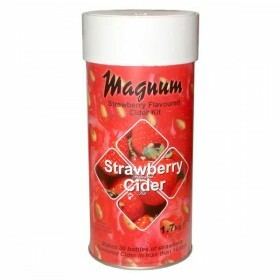 Just add water.. 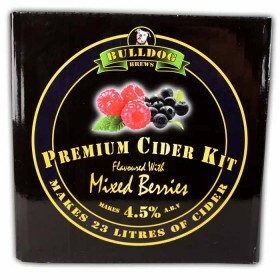 The Bulldog perfect mixed berries flavoured cider kit includes all you need to make 23 litres of cid.. 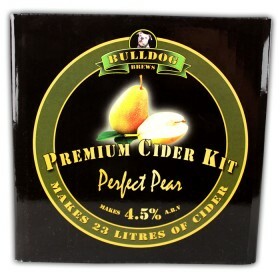 The Bulldog perfect pear cider kit includes all you need to make 23 litres of cider. Just add water .. 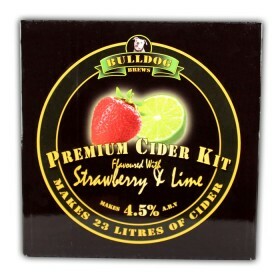 The Bulldog perfect strawberry and lime flavoured cider kit includes all you need to make 23 litres .. 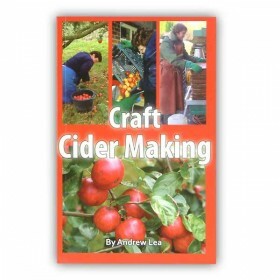 This book is for anyone who wants to grow or make good cider or even simple apple juice. Whether you.. 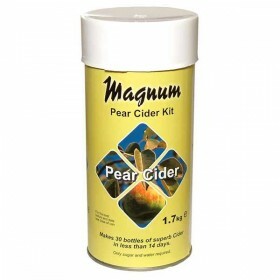 This kit contains 1.7kg of apple concentrate.The instructions provide details for making either wine..
Made from high quality european pears. 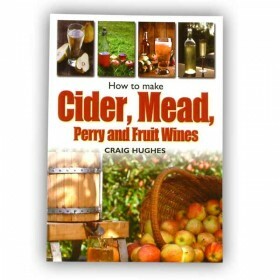 This kit will produce either a fantastic pear cider or an exc.. 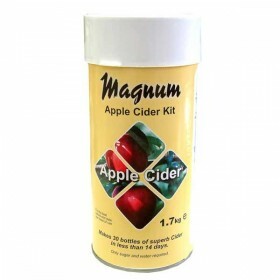 This kit contains 1.7kg of apple concentrate, and a strawberry flavour. The instructions provide det.. 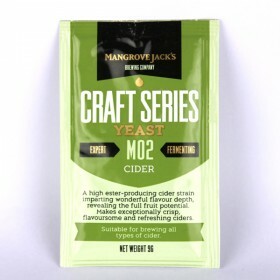 This book will show you how to use honey, apples, pears and garden fruits to make alcoholic and non-..
Mangrove Jacks M02 cider yeast is a high ester-producing speciality cider strain that imparts wonder.. 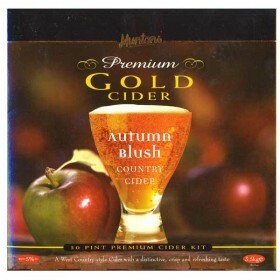 This kit will produce 30 bottles of a West Country style Cider with a distintive, crisp and rereshin..